When we shop for jewelry, we often see sterling silver items. But what is sterling silver exactly? You will find the answers to these questions and more below! Silver is a precious metal with atomic number 47. In chemistry, its symbol is Ag, which comes from the word Argentum. Silver has a lustrous gray color which made it a top choice for jewelry, flatware and other items through centuries. Silver is also a prominent choice in household items such as flatware and small instruments as watches, little statues and decorative items. Silver tableware is a sign of wealth and appreciation of the guests. Gifting silver to the newborn at birth or as a christening gift, is a living tradition in our day. Often a silver cup or set of silver fork-spoon-knife is gifted by godparents or family members at these occasions. Silver is also a monetary metal. Although not in circulation today, it has been used as money for more than a thousand years. From the Romans to the United States, silver coins have been used as means pricing and transferring value between parties. Even in our day, national and private mints produce silver coins and rolls, which are not circulated but used for gifting in important days such as birthdays or graduations. US Mint’s 1-ounce Silver coins, which carry a face value of 1 US Dollar, are also demanded by investors who want to keep their saving in instruments with no counter party risk. Silver has very distinct physical properties: it tops the metal charts in electrical conductivity, heat conductivity. Silver has a high electrical conductivity meaning it exerts a very small amount of resistance to the movements of electrons. In other words, it has a very low electrical resistivity. This is the reason why silver is an ideal material for electrical wiring. However, silver is not the top choice in wiring: copper comes first in transfer of electricity because it is much more cheaper than silver and much more abundant in nature. Pure silver is often too soft for making into everyday items thus we need to “harden” silver. The answer to this problem is to create an alloy of silver with other metals making it more suitable for producing into coins, jewelry, silverware and other items. The most widely used alloy of silver is sterling silver. Sterling silver is an alloy of silver with 92,5% purity. This means that if we have a sterling silver piece of 100 grams, we know for sure that it includes 92,5 grams of silver. The remaining 7,5% of sterling silver is made from other metals such as copper or nickel. Thanks to the introduction of these metals, sterling silver becomes an ideal material for jewelry and silver tableware and other items alike. When shopping for silver jewelry or silverware you should always check the material used. Because silver purity commands the price. Although sterling silver is very widely used other alloys of silver do exist: some with higher purity such as 95%, some with lower purity such as 80%. Never hesitate to ask the seller about the material and for the certificate of authenticity. Pure silver or fine silver does carry marks such as “99,9%”, “.999”, “999” or “FINE SILVER”. Sterling silver has markings of “92,5%”, “.925”, “925” or “STERLING SILVER”. Please be aware of silver or sterling silver plated items. These are not made of silver or sterling silver but from cheaper materials and then covered with a thin layer of silver or sterling silver. Do not hesitate to ask whether the jewelry or item is made of silver or sterling silver or a plated item. Silver is a hypoallergenic metal and allergy to silver is very uncommon. Thus if any irritation or itching is caused by sterling silver jewelry, the culprit, probably, is not silver but the other alloyed metals. The usual suspect is nickel. If there is nickel present in sterling silver it may cause unwanted effects such as inflammations and irritation. Although there are methods to prevent nickel surfacing and getting in contact with the skin, to avoid any harm and other undesired effect, simply prefer buying jewelry items, which do not include nickel and other allergic components. 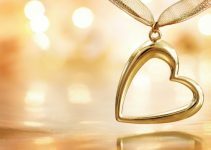 Will sterling silver jewelry tarnish? Silver does tarnish, and sterling silver is more prone to tarnish because of the alloyed metals inside its composition. Most of the time, the 7.5% added metal for hardening silver and making sterling silver is copper, which quickens tarnish and loss of brightness. This process is accelerated in humid environments and in presence of chemical agents such deodorants and makeup. This is why you should avoid the contact of your sterling silver jewelry with water. This includes not wearing any silver jewelry in shower or a the pool. When it comes to make up and deodorants, sterling silver jewelry should be the last items you wear before getting ready to avoid any unnecessary interaction. How to prevent sterling silver jewelry from tarnishing? The bad news is: it is not really possible to prevent tarnishing, but happily we can postpone it. The first step is making our best to avoid contact with humidity and chemicals. Refrain from using your jewelry while doing cleaning or washing. If any contact did occur, take a few seconds to dry them up. And, of course, Never wear your jewelry in the shower, in the pool or the sea. Use your perfume before wearing your silver jewelry. When you take off your sterling jewelry, clean it with a soft cloth and keep it in a zip bag or cloth bag. Store these in a jewelry box to keep sterling silver from tarnishing, where it will be out of contact with water and chemical agents. By this way, you will not only increase the duration of the lustrous look of your jewelry but also prevent scratches from other jewelry items. How to clean tarnished sterling silver jewelry? If you want to say good-bye to tarnish and take your sterling silver jewelry or silverware to its bright shiny look, you can use a professional service or do it at home by yourself. Your local jewelry will most likely be ready to provide such a service at a fee. 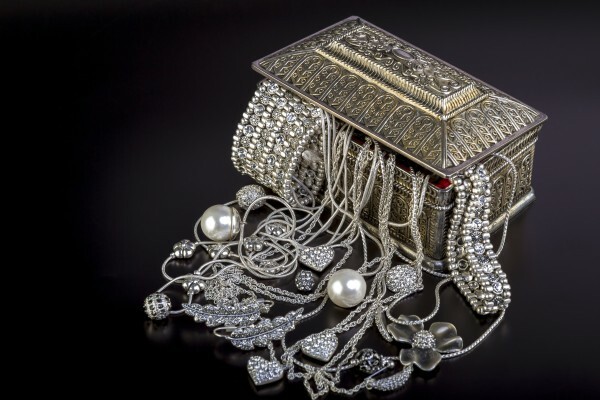 If you prefer to polish your silver yourself, please make sure the method you choose is appropriate for your special case as you might damage your precious silver jewelry. Always make completely sure that your method of choice for cleaning and polishing, will give the desired result. Wrong measures might lead to damages or even to the loss of your silver items. To polish silver at home, there are commercial silver polishes, but you may also choose to use household materials such as toothpaste! Please check our post on this subject for further information.